Like any other bookworm, I also enjoy buying books as gifts, whether it's for Christmas, anniversaries, birthdays, or 'just because'. Premium gifting brand I Promise has now shifted the concept of gift-giving to the written word in a different way, by allowing busy gifters to choose written promises to be sent to a loved one in a beautiful bundle. 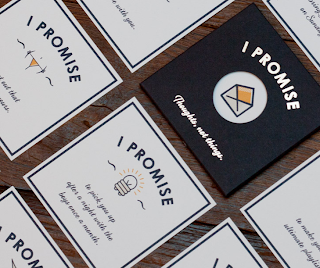 These can be personal to you, or chosen from I Promise's 1000-strong list. Given that it's the thought that counts, I will definitely be considering this as a beautiful, heartwarming gift the next time I'm stuck for ideas. In case I needed further encouragement in my above quest, it seems that our American friends have also voted with their feet and are now discovering (or rediscovering) their local literary emporia: in November, bookstore sales rose by 3.3%. That said, however, many bookstores (such as the UK's WHSmith) also sell many other items, including confectionery, stationery, music, and magazines - so perhaps what this says exactly about current reading habits is a little more difficult to quantify. The notions above of ebooks graduallly encroaching upon our reading habits, and the increased interest in this in Asia in particular, come together in two more pieces of news. Publishing company Macmillan is launching an ebook lending service which will initially consist of 1200 titles, with a generous lending period of two years. Beginning with mystery and crime novels, it is the CEO John Sargent's belief that "this pilot will provide books especially desired by library patrons". 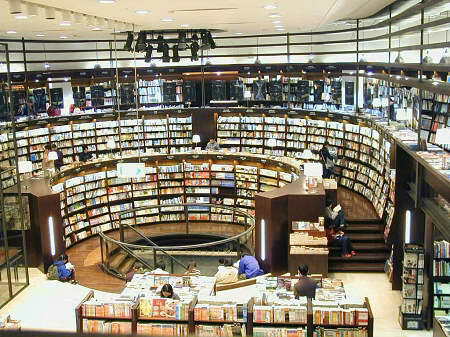 Whether Macmillan will follow Amazon and Apple to Asia in this project remains yet to be seen, but another exciting new venture lies in the opening of a 24-hour bookshop in Beijing. Taiwan and Hong Kong already have successful round-the-clock bookstores, so theoretically there's no reason why this shouldn't work. I'm just surprised that this concept hasn't already taken off in Britain given the high density of 24-hour shops that currently exist, and given that the frequent integration of coffee outlets into British bookstores already means that the concept lends itself well to a 24-hour licence. While not much of a crime fiction lover (although I have been known to enjoy a bit of Ruth Rendell and Paul French from time to time), even I can recognise the significance of Agatha Christie's Go Back For Murder, in which protagonist Carla tries to clear her mother's name in relation to a murder case, finally taking to the stage this year for a UK-wide tour. Having already stopped in Windsor, Cheltenham and Malvern, the production also promises to visit a variety of other locations, including Southend, Bath, and Stoke. The tour doesn't end until mid-July, so fans of the queen of crime have plenty of time to bag tickets. The world of academic research is never easy at the best of times: eggheads toil away for years on niche subjects in return for what can seem at times to be pitiably little recognition, and then on top of this, their books can be prohibitively expensive even if published by mainstream printers. It is to be hoped, then, that the University of Liverpool's recent acquisition of several of the University of Exeter Press' lists (Medieval Studies, History, Archaeology and Landscape Studies, and Classics and Ancient History) will heighten accessibility to the latest research. Liverpool plans to digitise many of these texts for the first time, while Exeter focuses on streamlining its offerings in the humanities (including local history, film history, and performance studies). The Liverpool acquisition takes place with immediate effect, and with luck will curb some of the eye-watering fees that can burden the world of academic publishing. Une librarie française à New York? The French embassy in the US is considering whether or not to open a French bookshop in New York City, and is seeking views from consumers and teachers as to whether or not this would be a valued service in one of the world's most multicultural metropolises. The store would offer paper and digital books for sale at reasonable prices, which I hope would encourage even the cash-strapped to improve their language skills. However, in a land where the most in-demand foreign language is arguably Spanish, I'll be very interested to see the level of enthusiasm for this new project.